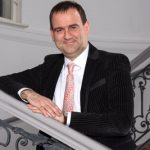 Prof. Dr. Alexander Wöll is the President of the European University Viadrina in Frankfurt (Oder). He studied German philology, history as well as Slavic studies at the Ludwig Maximilian University of Munich, Humboldt University of Berlin and the Moscow State Linguistic University. He was awarded a doctorate in 1997, and was granted a scholarship by the Alexander of Humboldt-Foundation at the Charles University in Prague. Prof. Dr. Wöll has obtained the postdoctoral degree in 2006 at the University of Regensburg. Then, he became a lecturer at the University of Oxford. In 2008, he took up a professorship in East and West Slavic philology at the University of Greifswald, where he stayed till 2014. Prof. Dr. Wöll is the Chairman of the German Association of Ukrainian Studies (DAU) and the author of many publications. 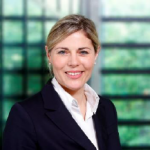 Katharina Boele-Woelki is the President of Bucerius Law School, the first private law school in Germany, where she also serves as the Claussen Simon Foundation Professor of Comparative Law. Until September 2015, she was Professor of Private International Law, Comparative Law and Family Law at Utrecht University, the Netherlands. In 2017 she has been appointed Extraordinary Professor at the University of Stellenbosch, South Africa. She established the Commission on European Family Law (CEFL) and the Utrecht Centre for European Research into Family Law (UCERF). 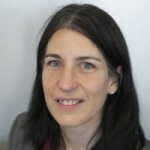 She is member and board member of various professional associations and institutions, such as the Deutsche Gesellschaft für Völkerrecht and the Swiss Institute of Comparative Law, and serves on editorial boards for Global, European and South African law journals, book series and open access platforms. In 2014, she was elected president of the International Academy of Comparative Law. She taught at the Hague Academy for International Law and was awarded honorary doctorates from Uppsala University, the University of Lausanne and the University of Antwerp, as well as the Anneliese Maier-Forschungspreis from the Alexander von Humboldt Foundation. She is an elected member of the Akademie der Wissenschaften in Hamburg. 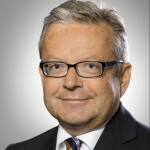 Dr Rainer Markfort is a corporate partner in the Berlin office of Dentons and co-head of the European Compliance Group. He fo cuses on advising corporations in critical situations. He supports companies’ management in internal investigations and in setting up compliance management systems. Rainer has years of experience in advising on the restructuring and refinancing of companies. His practice covers further advising on MBO and M&A transactions. 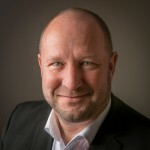 Rainer is a member of the board of DICO – Deutsches Institut für Compliance e.V. (German Institute for Compliance) and heads the working committee on Business Partner Compliance at DICO. He is a lecturer at the University of Saarbrücken, the Frankfurt School for Management and Finance and the German Lawyer Academy. 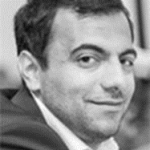 Noor Naqschbandi is the Director of the Alliance for Integrity, a business-driven, multi-stakeholder initiative to strengthen private sector anti-corruption capacities in the focus countries Brazil, Ghana, India, Indonesia and the respective regions. 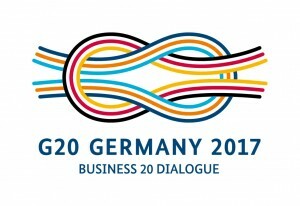 The Alliance for Integrity is carried out on behalf of the German Federal Ministry for Economic Cooperation and Development (BMZ) and implemented by the Deutsche Gesellschaft für Internationale Zusammenarbeit (GIZ) GmbH. Furthermore, Noor is responsible for the 10th Principle of the UN Global Compact in the German Global Compact Network. 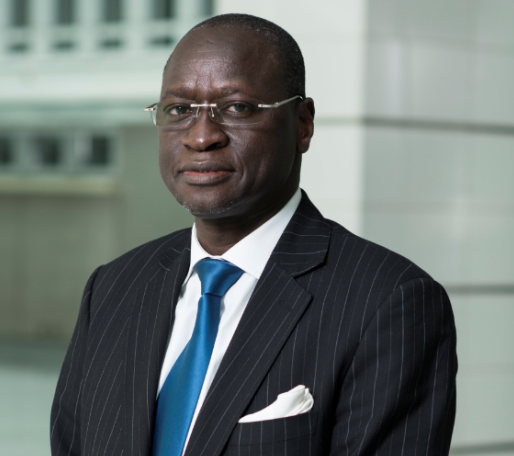 Mr. Ousmane Diagana is, since October 2015, the Vice President for Ethics and Business Conduct (EBC) and Chief Ethics Officer of the World Bank Group. 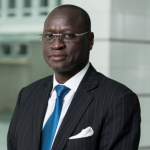 Previously, Diagana was World Bank Country Director for Côte d’Ivoire, Burkina Faso, Benin, Guinea, and Togo, based in Abidjan. He previously held the position of Country Director for Mali, Niger, Chad, and Guinea, based in Bamako. Between 2006 and 2009, Diagana was Country Manager in Niger and from 2004 to 2006, he was Program Leader in Morocco. In these capacities, Diagana effectively led diverse, multi-disciplinary teams to deliver innovative strategies and operations – including in fragile and conflict-affected countries. In 2009, Diagana received the Good Manager Award from the World Bank Group Staff Association in recognition of his lea¬dership skills. Prof. Anatoly Yakorev is a Director for the Center for Business Ethics & Compliance (CBE&C), International University in Moscow. He is currently working on designing /implementing compliance and ethics programs for the Russian oil & gas sector companies. As Global Ethics Solutions partner, he is promoting ethics training to further enhance compliance programs. He developed and launched the first Russian Collective Action, the Russian Energy Compliance Alliance initiative (RECA) that brought together multinationals and Russian companies in the energy area. 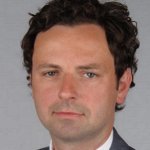 Henning Glaser (born 1971) is since 2009 the founding director of the German-Southeast Asian Center of Excellence for Public Policy and Good Governance (CPG) at Thammasat University, jointly formed by the Universities of Münster, Frankfurt, Passau and Thammasat University. Since 2007 he is teaching German and comparative constitutional law at the Faculty of law of Thammasat University. Prior to his engagement at Thammasat University he had been working as an assistant professor at the Faculty of Law of Münster University, as an attorney at law and a consultant. Henning Glaser serves as a consultant to numerous governmental and nongovernmental agencies in Europe, America and Asia in various fields of law, governance and compliance. Among his research areas are the critical theory of governance and compliance as well cross-cultural compliance. He is author of “Cross Cultural Compliance in Thailand”, in Rechtsmanagement im Unternehmen, Praxishandbuch Compliance, Aufbau, Organisation und Steuerung von Integrität und regelkonformer Unternehmensführungt, ed. Bartosz Makowicz and Hanns Michael Wolffgang, Cologne: Bundesanzeiger, 9th supplement, 2016. Mr. Henry (Litong) Chen, a Senior Partner of the Dentons Shanghai Office, is licensed to practice law in China and the New York State of the U.S. He currently focuses on risk management of compliance risks on bribery, monopoly, data privacy and security; PR and crisis management on governmental investigations; setting up compliance management systems; as well as conducting internal investigations on corporate frauds. Before joining Dentons, Mr. Chen had worked, among others, for the Ford Motor Corporation, MWE China Law Offices, as well as Baker & McKenzie LLP. He is a member of China delegation in negotiation of ISO19600 Compliance Management System – Guidelines and the Vice-Director of the Working Committee on China’s national standard Compliance Management System – Guidelines. He is the author of the book “Commercial Bribery Risk Management”. Dr. Tobias Teicke is a counsel at the Berlin office of CMS Hasche Sigle in the practice group of Compliance & Forensic Services. He focuses on setting up compliance systems, carrying out risk assessment and conducting internal investigations. In this context, he is also specialized on matters relating to the liability of management, the board of directors and the supervisory board. Tobias Teicke has advised companies in several major corruption scandals and evaluated relevant risk exposure. As Co-Head of the CMS Dawn Raid Response Team in Berlin he offers guidance and support to clients in the event of investigations of state authorities. Tobias Teicke regularly publishes articles on the topic of compliance and is a member of the SME committee of the German Institute of Compliance (DICO). He is also a co-founder of the CMS Compliance Barometer, an annual representative study on the state of compliance in German companies. 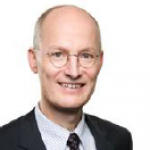 Prof. Dr. Peter Fissenewert is a partner with the law firm Buse Heberer Fromm. His core areas of practice are corporate law, restructuring & insolvency and compliance. He is one of the leading advisers and authors in these areas and is a renowned conference speaker on the subject. Prior to his career in legal practice, he was speaker for the Berlin Ministry of interior after having served as CEO of a SME group. Since 2005 he holds a professorship in economic law. Peter Fissenewert advises domestic and international companies as well as their owners and shareholders. Expert for SME, he has extensive experience in designing and implementing compliance systems. 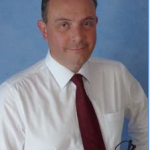 He is also author and editor of the comprehensive standard reference on compliance for SME (“Compliance für den Mittelstand”) and international Compliance-Managing-Systems with ISO 19600. 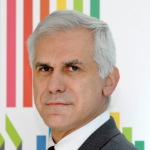 Mr. Nicola Bonucci is the Director for Legal Affairs and the coordinator for accession at the OECD. He focuses on general public international law issues, participating in the negotiation of international agreements, interpreting the basic texts of the Organisation, and providing legal opinions to the senior management, the Council, and its subsidiary bodies. He plays an active role in the drafting and the negotiation of the OECD legal instruments. He also deals with personnel matters, including litigation in front of the Administrative Tribunal of the OECD, budgetary issues and contracts. 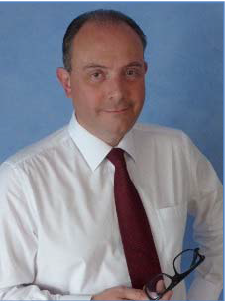 Since 1997, Mr. Bonucci has been closely involved in the monitoring and follow-up of the OECD Anti-Bribery Convention. Prior to joining the OECD, Mr. Bonucci served as a Legal Officer with the Food and Agriculture Organisation of the United Nations in Rome where he provided developing countries, especially those in Africa, with legal assistance on natural resources law. 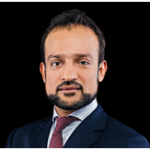 Mr. Khan Shahzad is Head of Ethics & Compliance for the Mubadala Group. He is a Barrister (Honourable Society of Lincoln’s Inn) and Solicitor of the Supreme Court of England & Wales, as well as a Certified Compliance Officer and a contributor to several international and regional governance symposiums. Additionally, he is a member of the Conference Board’s Council of Governance. Prior to joining Mubadala, Shahzad worked at the London office of Allen & Overy and for the Executive Office of the U.N. Secretary General in New York, having read Jurisprudence at the University of Oxford. 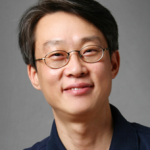 Prof. Han-Kyun Rho is a Full Professor for Collective Action, Compliance and (privat sector) Anti-Corruption at International Anti-Corruption Academy (IACA). He is an international expert in business ethics and management systems. Before joining IACA, he lectured both of these subjects at the Brunel Business School, Brunel University in UK (2003-2006), and at the College of Business Administration, Kookmin University (2007-2017). From 2006 to 2007 Prof. Rho was the Director at the Korea Independent Commission Against Corruption. 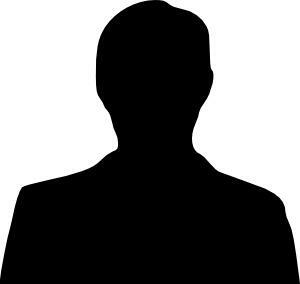 Before embarking on his academic career he worked for more than a decade at the Republic of Korea’s Ministry of Trade, Industry and Energy (MOTIE) in various economic and business-related roles. Mr. Gérard Kuster is the Council Director at the Conference Board, in charge of the European Compliance and Ethics Council. Furthermore, since 2014, he is a private consultant in Business Ethics and Compliance. 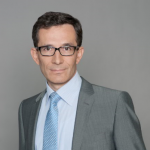 During the past 11 years at GDF SUEZ, Mr. Gérard Kuster was Vice President, Group Business Ethics & Compliance. From 2012 to 2013 he was the Chair of the Global Council for Business Conduct at The Conference Board. He was also a member of the Institute for Business Ethics (IBE) in UK. Mr. Gérard Kuster is the Vice-Chair of the Cercle d’Ethique des Affaires in France and Board Director of The Cercle de la Compliance. 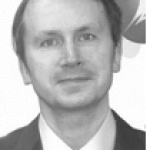 Mr. Gérard Kuster is for 7 years now, a Board Director at Transparency International France. 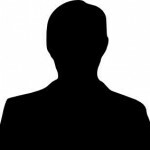 Moreover, he is a Board Director of two French Companies in the financial sector; he is also the Chair of the Audit committee and the Chair of the Risks Committee of a French Bank, BRED Banque Populaire. Mr. Gérard Kuster is Chevalier in the Order of the Legion of Honor in France. Mr. Michael Kayser is Managing Director Idox Compliance and a seasoned professional with over a decade experience in high-stakes, mission critical technology based services. He has been a member of technical committee ISO/PC 271 that developed the ISO Standard 19600 – Compliance Management Systems, in particular focusing on its applicability to medium sized organisations. He is currently part of the German delegation for the development of the new ISO project regarding Governance. His credo is the provision of affordable, adequate and sustainable compliance services and measures, rooted in the organisation’s principles and values. Prof. Dr. Dr. h.c. Michael Kubiciel is a professor for criminal law at the University of Augsburg. Moreover, he is the spokesman of a research group on Corporate Criminal Liability funded by the Volkswagen Foundation. Since the early 2000s he frequently works for international organizations (e.g. GRECO, UNODC) on the field of anti-corruption law and anti-corruption policy. From 2012-2017 he was the European Commission’s Local Research Correspondent for Germany facilitating the Anti-Corruption Reports. He frequently consults legislators, enterprises and professional associations. He publishes on the fields of white-collar crime, corruption and compliance (both in German an English). In 2017, he will edit the first commentary to the UNCAC (Oxford University Press). 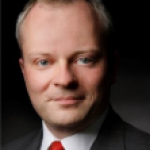 Mr. Lars Karlsson is a President of KGH Border Services, a Swedish international consultancy company with 42 offices in 12 countries and 700 experts working with cross-border trade consultancy for more than 50 governments and 14 000 private sector clients all around the world. He is one of the most well-known customs leaders and has an extensive background in customs, international trade policy, reform and modernization. He was previously the Director of World Customs Organization’s (WCO) Capacity Building Directorate (2005-2010) and the Director of Swedish Customs. Mr. Lars Karlsson won the Gothia Prize for Best Innovation (2001) and became Swedish Manager of the Year (2003). In 2012 he was nominated and accepted to join as global expert on the US Advisory Board of the International Summit on Borders, and in 2016 awarded an Honorary Doctor of Eduation (honoris causa) by Charles Sturt University. 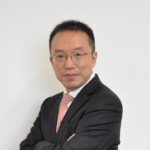 Dr. Deming Zhao, a Senior Partner of HaoLiWen, had been previously an in-house counsel of the Greater China Region of KODAK, a partner of Richard Wang & Co, and an associate of the Hong Kong and Shanghai Offices of PAUL HASTINGS. Since 1993, Dr. Zhao has been a PRC licensed lawyer engaging in the corporate, commercial and litigation practices. His practices cover corporate and regulatory compliance, customs duties & investigations, M&A, IP licensing and assignment, shipping and logistics, insurance, employment and litigation & arbitration. Dr. Zhao was identified as one of “Client Choice – Top 20 Lawyers in China and Top 75 Lawyer in Asia” in an ALB survey. He was appraised by Asialaw Leading Lawyers (2010-2013) as one of the leading lawyers in the area of general corporate practice. 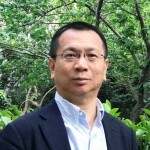 Furthermore, Dr. Zhao has been included in “Expert Guide: China” as a pre-eminent M&A practitioner. Mr. Gabriel Kurt is a lawyer, tax consultant and the Managing Director of AWB Steuerberatungsgesellschaft mbH and AWB Rechtsanwaltsgesellschaft mbH. He is specialized in consultancy in a wide range of customs fields, namely foreign trade law, criminal matters as well as excise law. In particular, he advises corporate clients on compliance programs, process design and supply chain management as well as excise taxes. He also represents clients at administrative and judicial proceedings. 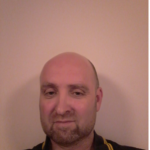 Moreover, Mr. Gabriel Kurt is lecturer at the MCA Master’s Program in Customs, Taxation and International Trade Law at the University of Munster, covering the Trade Compliance area, and is an experienced trainer for the AWA Foreign Trade Academy. He is also an author of publications on customs law. Mr. James McColm is the Programme Manager of the WCO Security Programme and is responsible for the WCO’s Programme Global Shield (Counter-IED precursors and components), Strategic Trade Control Enforcement and the WCO’s Small Arms and Light Weapons Project. Mr. James McColm has worked for the WCO for 15 months, and previously was a trainer on EU and UN ODC International Programmes. He has 29 years of customs experience. Previously he worked for HMCE and Border Force in the UK in both intelligence and detection operational and management roles. He was responsible for setting up the Counter Terrorist and Radio-Nuclear Intelligence Team in HMCE and the Counter Proliferation Team in the UK. Joëlle Friedmann graduated from an international business school (specialty in B to B) included Harvard business cases and a Northeastern University in Boston USA exchange program, Friedmann currently is part of the AWA MCA program as a student in addition to her current position. Joëlle has been working for several Multinationals companies and enjoys international challenges since several years. In 1998, Joëlle had the opportunity to build a factory in Vietnam for Schneider Electric Group (Electricity), including the supply chain (end to end), international trade and customs processes. In 2000, Joëlle joined PSA group headquarters (automotive) and took the lead of the transportation department for Citroen brand and after 3 years became member of transfer technology team for PSA-Dong Feng joint ventures in China. In 2004, she joined Renault truck (Volvo Truck group) to lead the synergy project in merging Renault and Volvo logistics processes. In 2007, she joined Alstom Transport Headquarters (Railways) where she was, first, part of the supply chain development team and then moved to finance department to create the customs function at operation and strategic level. Her different roles in Alstom were including the lead of AEO certification, internal audit as an expert in supply chain (end to end), tax and customs optimization and advise internal stakeholders as an expert for bid offers till end project in execution phases to ensure the compliance. She is currently customs and International Trade Manager in Tradall finance department (Bacardi Group) based in Geneva. Part of her role is to lead the incoterms governance and customs matters. She recently joined the UN/CEFACT team as a volunteer member. 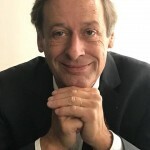 Prof. Dr. Hans- Michael Wolffgang is a professor of international trade and tax law and director of the Institute of Customs and Inernational Trade Law at the University of Münster, Germany. Additionally, he is a co-shareholder of the affiliated AWA Foreign Trade Academy, where he specialises in customs and export control law. The AWA is a leading training institute for international trade and has affiliates in Austria, Hungary and Switzerland. 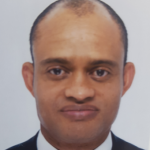 He is founder and partner of the AWB Tax Consultancy Ltd.,and founder of the AWB Law Firm Ltd, both based in Münster, Hamburg and Munich, Germany. As former member of the German customs administration and former fiscal advisor to Germany's Federal Fiscal Supreme Court, Prof. Wolffgang is a board member of Centre of International Trade Law at the University of Münster and chairman of the advisory board of the EFA European Forum for External Trade, Excise and Customs. He also is Editor-in-Chief of the AW Prax, a leading journal of external trade and customs law in German-speaking countries. Prof. Wolffgang is member of the PICARD Advisory Group to the World Customs Organization (WCO). He is co-founder of the International Network of Customs Universities (INCU) and member of the editorial board of the World Customs Journal (WCJ). 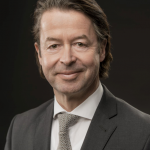 Dr. Klaus Moosmayer has been Chief Compliance Officer of Siemens AG and head of the global Siemens Compliance Organization since January 2014.Before, he served as Chief Counsel Compliance of Siemens AG since July 2010 and was leading all Compliance Governance functions. From 2007 to 2010 he was the Compliance Operating Officer of Siemens and held a leading role in developing the new Siemens Compliance Program. Before entering the Siemens Legal Department in 2000 he was in private practice as a lawyer. He studied law at the university of Freiburg/Germany and was trained as an army officer. Klaus has published extensively on Compliance and white collar crime topics – including Compliance and Anti-Corruption Manuals for companies - and speaks frequently on national and international conferences on Compliance topics. Klaus teaches Compliance at the Bucerius Law School Hamburg/Germany and the University of St. Gallen, Switzerland.He got appointed as Anti-Corruption Chair of the Business and Industry Advisory Committee at the OECD (BIAC) end of 2013. Magdalena Soboń-Stasiak, from 2009 Compliance Officer in ArcelorMittal Poland S.A. Graduate of Doctoral Studies of Faculty of Law and Administration at Silesian University in Katowice , Graduate of Faculty of Law and Administration at Silesian University in Katowice and Graduate of Studies “Companies’ Academy ( Akademia Spółek) at Warsaw School of Economics in Warsaw. 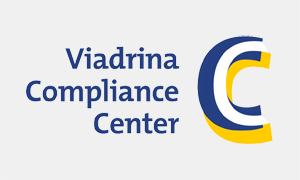 Certified Compliance Officer at Compliance Academy at Viadrina University in Frankfurt. Speaker on international and national seminars and conferences from compliance area. Speaker on 26 May 2016 at DG Justice and Consumers, European Commission, Brussels at the Business Seminar ‘Diversity in the business in Central and Eastern Europe- is it myth or reality’. Member of Polish Compliance Association. Prof. Giovani Agostini Saavedra is professor and director oft he Nucleus of Research in Compliance, Corporate Governance and Innovation of the PPGCCRIM – PUCRS since 2008 as well as partner at Saavedra & Gottschefsky – Advogados Associados (law firm) since 2009. Saavedra got honored with the Destaque Award in 1999 and 2000 for outstanding research performance. He is author of several books and articles. 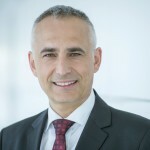 Alain Casanovas Ysla is a partner at KPMG since 2000. Alain has designed and carried out projects to improve internal control over legal compliance and corporate crime prevention. Alain leads and teaches at Compliance Master Degree on Compliance at Universidad Carlos III (Madrid) and Universitat Pompeu Fabra, in Barcelona. He offered courses related to Compliance to judges and magistrates of the Spanish General Council of Justice. Dr. Sophie Luise Bings joined Deloitte Legal in 2017. She advises her national and international clients in all legal aspects of corporate compliance. Her main field of experience is the prevention of compliance liabilities of the management board, in particular by implementing, revising and monitoring compliance management systems. In addition, she specializes on the review and assessment of external compliance risks resulting from Business Partners and other Third Parties, M&A Transactions and Joint Ventures. She further assiss her clients in internal investigations and compliance liabilities of management and supervisory board members. 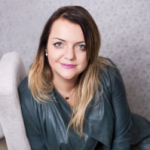 Before joining Deloitte Legal, Sophie worked several years for an internatonal law firm well known for providing compliance advice. Sophie Bings speaks German, English and French. 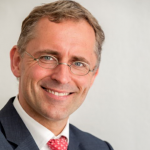 Dr. Stefan Liebing took over as Chairman of Afrika-Verein der deutschen Wirtschaft e.V., the German-African Business Association, a prestigious industry association that is active across Africa with around 600 members from German industry in early 2012. In 2014/2015 he also acted as the Chairman of the European Business Council on Africa and the Mediterranean (EBCAM). 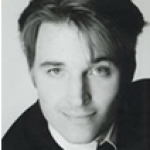 In his main profession, Stefan Liebing is the Owner and Director of Conjuncta GmbH, a boutique consultancy and project development company. In addition he is a member of the Advisory Board of several investment and consultancy companies. Before his current role, Stefan Liebing was a Director of International Gas Business at EnBW Energie Baden-Wuerttemberg AG, one of Germany’s major utilities. He started his career with Royal Dutch Shell, working in Hamburg and their headquarters in The Hague, filling several management positions there during a period of eight years. Furthermore Mr Liebing is the Chairman of the Center of International Energy Studies e.V. (CIES) at Heilbronn University, where he also teaches energy management. Flensburg University has appointed him as a senior lecturer on “Doing business in Africa“. He graduated in Business Administration at Mannheim University and holds a doctoral degree in political science from Duisburg University. Tom Brown is a senior AML & Compliance specialist providing consulting, advisory and training services in AML, AB&C, Sanctions and Compliance within the banking, financial services, oil & gas and legal and law enforcement sectors. Tom is a qualified barrister and solicitor in both English Laws and Sharia Laws with over 18 years practical experience in the fields of law, AML & Compliance. He holds several qualifications which include LLB joint honours degree, a BL and 1st class LLM degree holder specialising in Money Laundering, Corporate Governance and Industrial Property laws. He is an ICA and ACAMS holder with over 6 additional professional qualifications in the field AML, Hedge Funds & Risk Management. He was a former lecturer in Money Laundering & AB&C at 2 top post graduate universities in the United Kingdom which included Cardiff Law School, City University London and a visiting tutor at the London Business School (MBA programme). 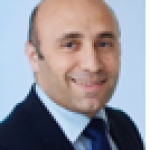 He has worked as a senior AML consultant, de facto MLRO, headed several AML & Compliance departments and provided training services in firms such as Lloyds Banking Group, HSBC, BP IST, BP Global Plc, Santander UK, KPMG, Deloitte UK, PwC Lebanon and Saudi Arabia, National Bank of ABU Dhabi (NBAD), Bank Audi to mention but a few and has worked as a consultant with software vendor applications including Perfect Information, BvD, World Check, Accuity, Thompson Reuters etc. Tom’s practical experiences in West Africa as a lawyer saw his skills in negotiation, prosecution and defence works in multi-million dollar contracts in Nigeria’s oil and gas, beverages, hospitality, legal and financial service sectors in Nigeria. He also served as an attaché to the former Commissioner of Justice or Rivers State and was involved in Shells splitting of assets between newly created states in Nigeria. He has invaluable experience in anti-bribery and corruption with first-hand experience in the cultural, economic and legal framework of trade in the West African region. Tom lives and runs a consulting firm in the United Kingdom. brömmelmeyer" width="150" height="150" />Dr. iur. Christoph Brömmelmeyer, born June 20th 1969 in Bünde (Germany). 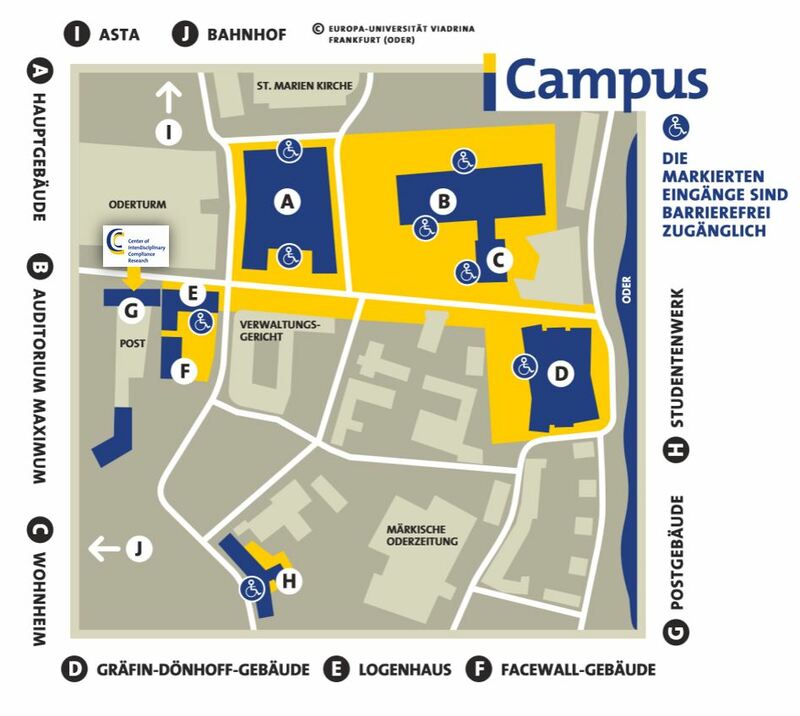 Today: University-Professor in Frankfurt (Oder), holding a chair for Civil Law and European Economic Law at the European University Viadrina (since 2009). 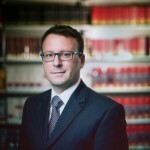 Executive Director of the Frankfurt Institute for The Law of The European Union (since 2010) being a Jean Monet Centre of Excellence. Before: University-Professor for Private Law and International Economic Law at the RWTH Aachen (2006-2009). Habilitation about “The Internet, Competition and Law” (2005), phd-Dissertation about “The Appointed Actuary in Life Insurance Law” (1999), research and/or teaching periods at the Universities of Athens (GR), Paris (FR), Wroclaw (PO) and Aberystwyth (UK). Meinhard Remberg, Dipl.-Kfm. (Master of Business Administration), is Executive Vice President of SMS GmbH and in charge of Compliance and Internal Auditing. He has worked in various functions of the SMS group for nearly 30 years. Since 2004 he has concentrated on the subjects of risk management and compliance and gave lectures on this subject at numerous conferences. 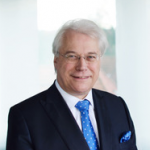 Meinhard Remberg is chairman of the VDMA (Verband Deutscher Maschinen- und Anlagenbau) Working Group on Compliance Management since 2010. Since 2013 he is board member of DICO (Deutsches Institut für Compliance e.V.). 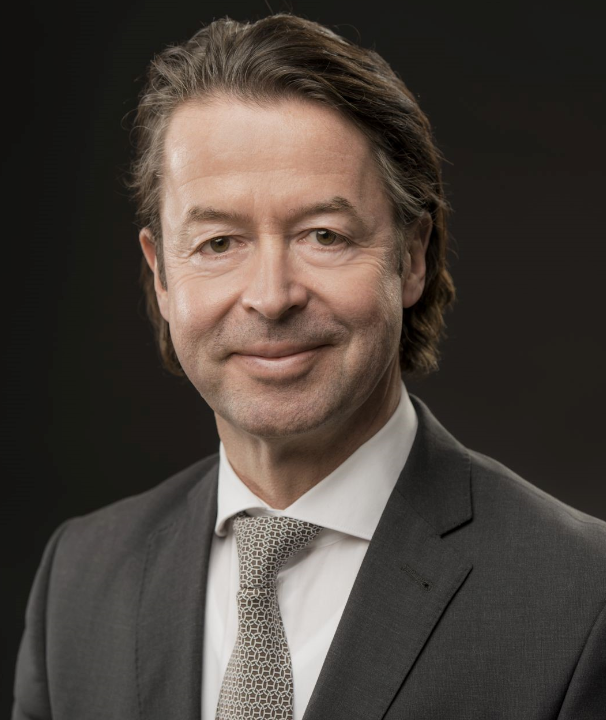 Meinhard Remberg is author of several subject-based articles and co-editor of the Corporate Compliance Zeitschrift (CCZ) that is published by C. H. Beck since 2008. Inda Ofori-Kwafo is the Executive Director of the Ghana Integrity Initiative (GII), the nation chapter of Transparency International in Ghana. 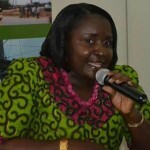 Linda in the recent past was the Executive Secretary of Ghana Anti-Corruption Coalition. 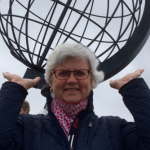 Linda has over fifteen (15) years’ experience leading civil society work in anticorruption. She has extensive work experience with government, private sector etc on initiating, reforming and advocating for transparenfcy-enhancing and anti-corruption legislations. She is currently pursuing a post graduate degree in Law, she holds a Masters of Business Admifnistration (MBA) Degree, from the University of Ghana Business School; a Bachelor of Arts Degree in Political Science, Diploma in Human Rights based approach to Development Programming from the DANISH Institute of Human Rights and a recipient of several other certificates in relevant fields. She is the recent past Chairperson of the Alliance for Integrity Steering Committee in Ghana and a Course Facilitator at the Kofi Annan International Peacekeeping Training Centre Annual Rule of Law Course on the topic on the “Corruption, Governance and Administrative Review in Post Conflict States”.